Wow, 2017 is almost here! I hope you all have found some time to reflect on the past year and what you want to accomplish in the one ahead. For me, 2016 was filled with a lot of wonderful changes, so I cannot wait to see what 2017 holds. To get myself ready for the new year, I have come up with some resolutions that will help make 2017 better than ever. 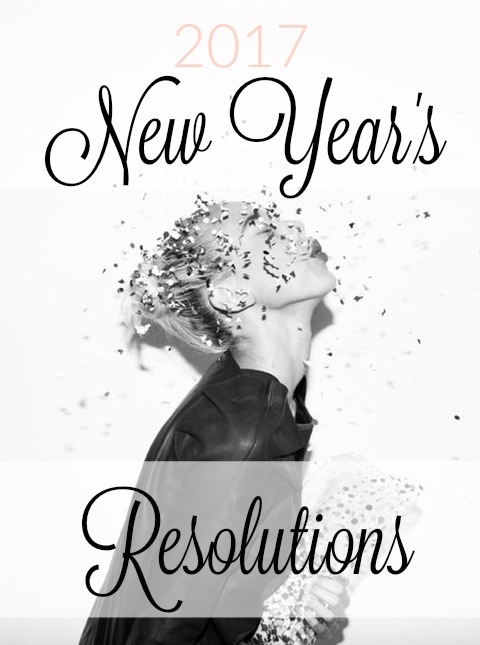 I hope these give y'all some inspiration for your own resolutions!